Hillcrest High School Class of 1969…50th Reunion! More details to follow…we will be mailing invitations with details in July! Please help spread the word about our 50th Reunion! We want to see as many people there. Click image of ad to see an enlarged view. Copyright © 2019 The Simpsonville Sentinel. Website maintained by TADA! Media Services, Inc.
We hope that you are enjoying the on-line version of our printed newspaper. 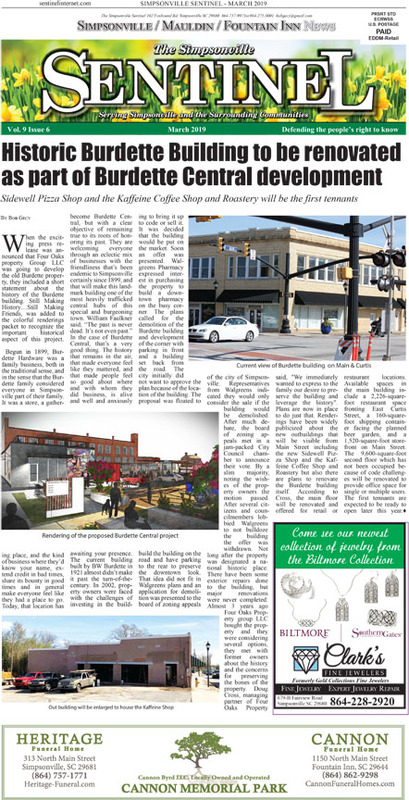 Please consider purchasing a subscription or advertising with us so that we may continue to bring you news stories, editorials, celebrations, and videos from Simpsonville, Mauldin, Fountain Inn, Moonville, Piedmont, Woodruff, Fork Shoals, and southern Greenville County S.C. Articles on this website are not available until at least 7 days after the printed version. ($32 if paid via credit card).